2-(1-(3,4-Dihydroxyphenyl)ethylidene)hydrazine-1-carboxamide was synthesized as a precursor for generation of redox polymer. In acidic media, the opposite charge on the surface of this monomer and graphene quantum dots make feasible monomer electrodeposition. Fourier transform infrared spectroscopy and field-emission scanning electron microscopy were used for chemical band identification and morphological characteristics of coated film at electrode. Polymer-modified electrode enhances electron-transfer process of catechol amines such as dopamine and dobutamine selectively. Graphene quantum dots/polymer film-modified electrode produce more oxidation current compared to polymer-modified electrode alone. Under optimized condition, the concentration of dobutamine and its oxidation signal was well fitted to the linear regression function in the range of 0.05–35.0 µM with the detection limit of 0.01 µM. The accuracy evaluation of modified electrode was determined by measuring concentration of dobutamine in serum samples. 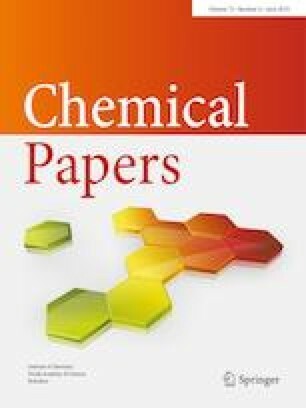 The authors gratefully acknowledge support of this work by the Research Council of Payame Noor University and Green Chemistry.